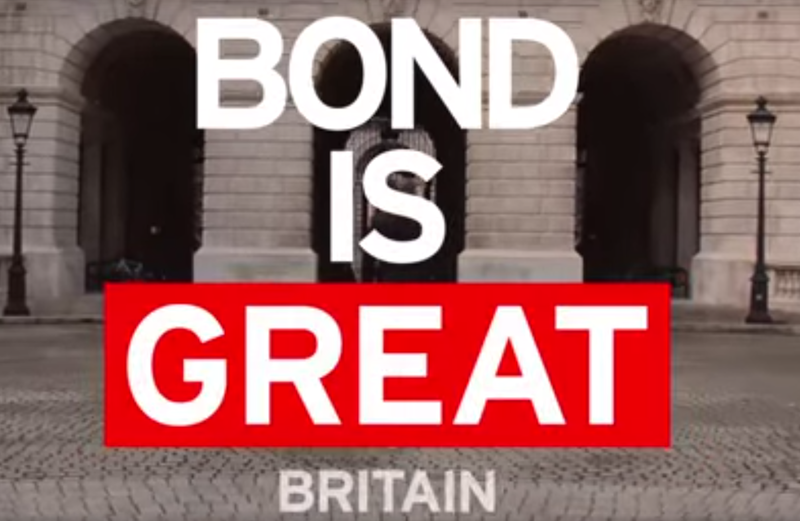 October 2015 Visit Britain launched a global Bond is GREAT Britain film tourism campaign in partnership with Sony Pictures Entertainment and Metro-Goldwyn-Mayer Studios. "SPECTRE" (2015) is the third Bond film which they have partnered with the Bond franchise. The Bond is GREAT campaign will kick off across more than 60 countries to encourage 007 fans to choose Britain – the home of Bond – for their next holiday. An exclusive peek behind-the-scenes of the brand new James Bond adventure "SPECTRE", filmed on location in Britain.